Discussion in 'Traffic Law Forum' started by mrburgess, 19 March 2018. 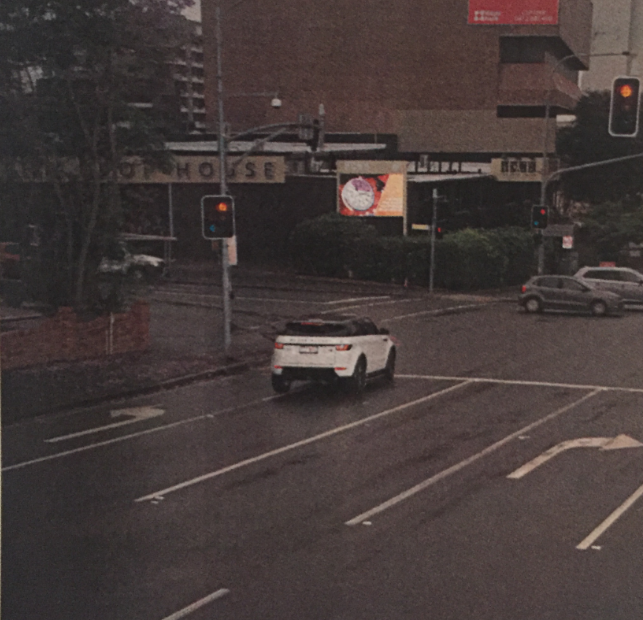 As you can see from the image - I am turning left on a green light, but I am to attend court for running a red light. Do I have a legitimate reason to attend court and argue the case under traffic law? Hi. I don't think you need to go to court. Ask for review. You will have other fine as not driving on right lane as evident Form the picture. You should have been on the far left lane. The camera are automated and you were on right lane so when you passed the lights ito took your picture, I am not sure what will happen but properly you will be off the red light and get something to driving on wrong lane, it may be a lesser infringement. If the review stated the the fine stands, then go to court. Just find out what is the other infringement is. I agree, turning left when not in left turn lane. You are up for a fine one way or the other, just work out which one is the 'better' offence for you. Keep in mind running a right light is often viewed more seriously than failing to keep in the marked lane. Thanks for the answers - I have be summoned to court for the traffic offence of running a red-light - can this offence be changed on the day? Surely it can't, as you have to defend yourself against the charges that are given before the court. I can fully understand you turning from that lane if you are used to driving with bus lanes around. It's like the authorities are determined to confuse motorists so they can fine them. thanks for the answers - I have be summoned to court for the traffic offence of running a red-light - can this offence be changed on the day? surely it cant, as you have to defend yourself against the charges that are given before the court. Most properly yes, the Magistrate/Judge will dismiss the red light and ask the related authorities to issue the proper infringement, if you are lucky it could be dismissed altogether, you will never know what will happen until you attend the court. Why did you go to court? If I were you, I would ask for a review first. The point to consider is using the court time, I think the best option is to ask for review and if the result was the red light stands, then go to court. You need to consider the point of having the review process. This is meant to untilse the court's time for cases that need a court, yours may not need a court as it is obvious. The Magistrate/Judge may not like you attending without the review. Is that review process really real though? I used it a few times and get a generic rejection reply. There is nothing in the rejection letter specific to my situation which would indicate to me that someone actually read my letter. I think the system operates like Great Benefit insurance - reject all claims. Im in NSW, and I helped someone to write a review and it came with a positive response, the infringement was dismissed. There are strict guidelines they follow; one which is to have a clean record, if someone does not have a clean record then it may not get reviewed. It does work but don't forget there are millions of reviews sent so the system has to operate on strict guidelines. UPDATE went to court was dismissed in court due to not enough evidence- justice is done. Good on you, I informed you that it would happen. I thought the second picture shows you are turning left and that should be enough evidence, why was not there enough evidence? anyway, no matter, you are off the hook and that all that matters. I had that same happy feeling three times and I have 100% successful rate in attending court cases! I only go to court when I am positive that I am right! I recommended you to do the review first as I think it would have been dismissed, and you would have saved yourself the time attending court, but if the review did not work, then to court! TAS Traffic Infringement Notice for Going Through Amber Light? 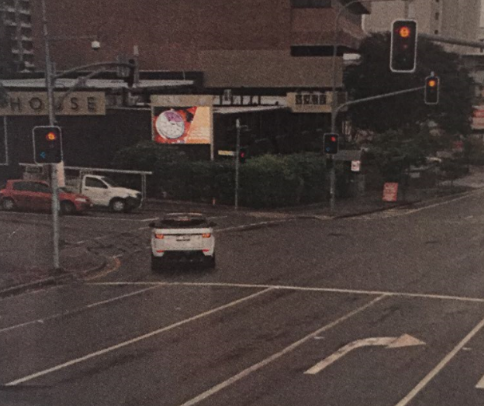 VIC Is it worth attempting to get out of a red light camera fine? VIC Taxi Hit and Run - File New Report with Police?